In Hohhot, you will have a taste of typical Mongolian food and drinks, such as milk tea, toasted millet, boiled skim milk, cream, and tender finger mutton. 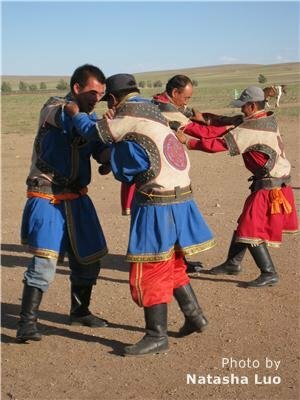 When you are offered mare&apos;s milk wine, the beautiful Mongolian girls will sing the toast song and present you with a "Hada" - a piece of light blue silk to show blessing. 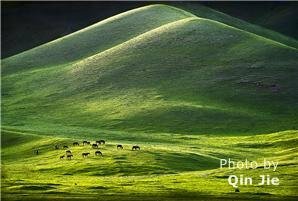 Mongolian food and drink are characterized by their strong local flavors. Visitors will always discover a feast for their eyes as well as their appetites. This dish is very popular in Central Asia, Southern Russia and other parts of the world. According to an old legend, Genghis Khan liked this dish very much, and as he led his army on his many conquests of other tribes and countries, this favorite dish became wide-spread. The making of the dish is unique. Meat, such as mutton, pork, beef, chicken or fish, should first be sliced, and then roasted on a heated iron plate. Next, the meat is seasoned with sauce, pepper, mustard, ginger and mashed garlic before eating. The finished entrée is very delicious and fragrant, with a special flavor all its own. Mongolian mutton fondue dates back to the Yuan Dynasty. In different regions there are different ways of enjoying this dish. 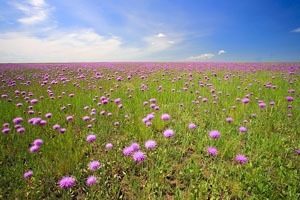 In Inner Mongolia, material for a fire pot usually comes from sheep’s brain, back, back legs and tail. When eating mutton fondue, the mutton will be sliced and boiled quickly, and then seasoned with sauce, shrimp oil, fermented bean curd and chive florets. 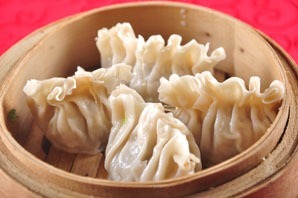 Shaomai is a popular local delicacy, and enjoys a long history in Hohhot. As long ago as the Qing Dynasty, it had won a wide popularity in Beijing due to the unique technique of its preparation, the fine raw materials, nice and thin wrappers, delicious fillings and all necessary ingredients and seasonings. The hot Shaomai tastes delicious and is pleasing in form. Visitors to Hohhot always enjoy a taste of Shaomai. Naked oat is a kind of oat, and from it is processed naked oat flour. Naked oats are cold and salt-alkali resistant, and produce a low-yield crop with a short mature period. They are also high in protein and fat, as well as many kinds of microelements, such as iron, calcium and phosphorus, and others. The naked oat flour is often processed in a special way. After washing and drying by airing, the naked oats will be baked and then milled into flour. The flour can then be made into noodles and other kinds of food. This famous dish derives its peculiar flavor from Inner Mongolia. It is made of facai, a kind of vegetable grown in Inner Mongolia, along with sparrow eggs and cucumber. Because the dish looks like a phoenix&apos; tail, it is called Phoenix&apos;s Tail Cling to Facai. With a beautiful pattern and rich nutrition, this dish tastes delicious and is good for our health. Based on the principle that “vegetarian food can add to people’s blessings and wisdom”, the restaurant mainly provides dishes made from melons, fruits, fungi, bean products, coarse cereals, herbal cuisine and so forth. Many dishes imitate meat or fish, the flavor being out of the ordinary. Also, various types of tea are offered there. Transportation: 1) Take Bus 1, 36, 38, 56, 71 or 79 and get off at South Tea Lane (南茶坊); 2) Take Bus 6, 27, 58, 59 or 302 and get off at Tumd School (土默特学校). Advocating the culture of vegetarian food, both the shop manager and the head chef show an interest in the research of diets and the pathological therapy of traditional Chinese medicine. The warm atmosphere in the restaurant will make you feel at home. 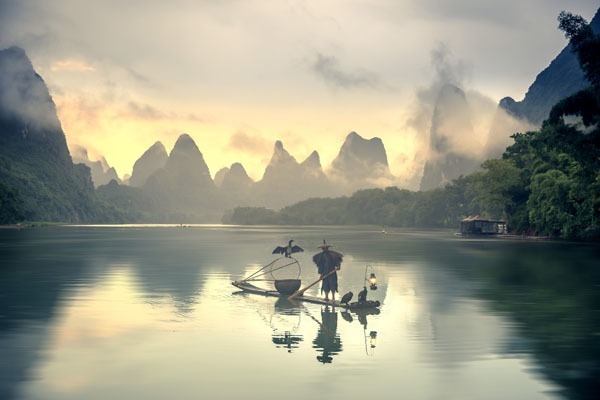 Transportation: Take Bus 1, 1 (regular bus), 1 (night bus), 3, 8 (night bus) 10, 32 (night bus), 36 (night bus), 39 (night bus), 66, 66 (Shihu regular bus), 69 (night bus), 183, 190, 219, 236, 541, 544, B8 and get off at the intersection of Beijing Road (北京路口), and then walk about 230 meters. Transportation: Take Bus 77 and get off at Xilin Nanlu Primary School (锡林南路小学). Covering an area of more than 2,000 square meters, Hong Ye Lou Restaurant is a large Muslim-style integrated restaurant that primarily offers traditional mutton hot pots over charcoal, assorted hot pots, various snacks, a buffet Korean-style barbecue, and dishes that are mainly fried, braised, and sautéed. Among these, the mutton hot pot over charcoal is the most popular because it is boiled in a special nutritious soup along with unique ingredients which are fresh and appetizing. The restaurant&apos;s dishes are so great that sometimes it can become crowded, even though it has four floors. The restaurant is divided into three areas: the hot pot area on the first and second floors, the barbecue area on the third floor, and some private rooms on the fourth floor. All of the floors are decorated elaborately, which provides a pleasant dining atmosphere. Recommended dishes: mutton hot pot (涮羊肉), beef hot pot (牛肉火锅), lamb sweetbread soup (羊杂汤), shaomai steamed dumplings with the dough gathered at the top (烧卖), barbecue (烧烤), brick tea (砖茶), assorted balls (丸子拼盘), golden mushrooms (金针菇), sautéed sliced lamb with green onions (葱爆羊肉), and Moo Shu Rou/sautéed sliced beef or mutton with egg and black mushrooms (木须肉). Transportation: Take bus 1, 3, 4, 16, 19, 21, 50 or 57, and get off at Shoufu Rencai Shichang (Capital Human Resource Market/首府人才市场). Red Pomegranate Restaurant, a Muslim-style restaurant, is notable for its yellow color appearance on the Business Street. The restaurant is popular for its traditional halal dishes and snacks that are cooked with special flavored ingredients. The two-storied restaurant is decorated simply but brightly because of its beautiful crystal chandeliers and elegant French windows. Recommended dishes: Xinjiang-style braised chicken (大盘鸡), mutton kebab (烤肉串), sautéed handmade noodles (拉条子), sautéed lamb with naan bread (馕炒肉), grilled fish balls (烤鱼丸), grilled garlic (烤大蒜), Xinjiang rice (手抓饭), grilled mutton with rose willows (红柳烤肉), roast leg of lamb (烤羊腿), and fried mutton with cumin (孜然羊排). Transportation: Take bus 31, 53, 54, 61, 62, 63, 72 or 86, and get off at Neimeng Yiyuan (Inner Mongolia Hospital/内蒙古医院). As its name implies, Lao Kan Shang Hot Pots Restaurant is famous for a variety of delicious hot pots such as mutton hot pot and beef hot pot. 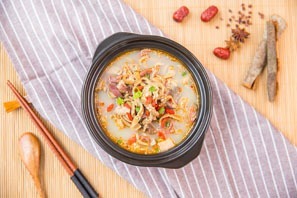 The soup in a hot pot, boiled down with special ingredients including some traditional Chinese herbs, is fresh and nutritious, hot but not dry, and fat but not greasy. The delicate decorations, neat and tidy environment, and considerate service provide the restaurant with an additional charm. Recommended dishes: hot pots (火锅), grilled squid with shrimps (干锅鱿鱼虾), spicy grilled lamb chops with shrimps (香辣羊排虾), spicy grilled fish with pepper and chili (炝锅鱼). Transportation: Take bus 2, 4, 21, 27, 52, 54, 55, 61, 62, 63 or 303, and get off at Jiuzhou Shangsha (Jiuzhou Commercial Building/九洲商厦).